The fantastic Directory of Local Health and Social Services for Older Adults has been compiled by the Queen Edith Medical Practice Patient Participation Group. You can download a copy (Microsoft Word format) by clicking here or on the picture above. 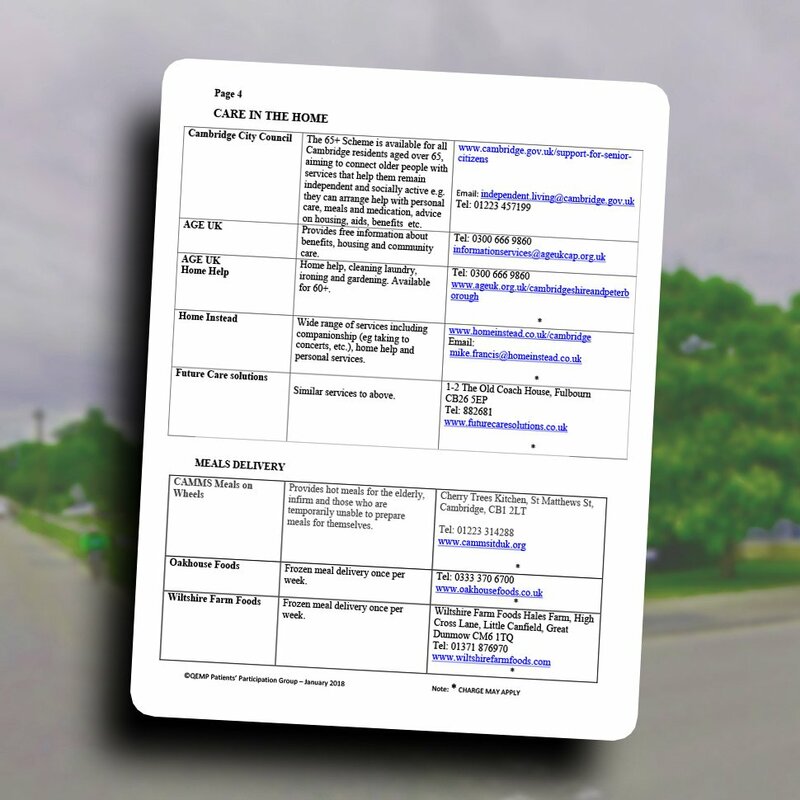 The directory gives details of Day Centres and Lunchgroups, Befriending, Care In The Home and Meals Delivery, Equipment To Assist With Daily Living and Personal Alarms, Home Adaptations – Key Safes, Grab-Rails, Major Adaptations and Falls Prevention, Transport and Mental Health Support, Financial Support And Bereavement, and General Contact Centres. You can also find links and contact details in the online version of the Winter 2018/19 edition of Queen Edith’s Community News here.